Hello my friend, my partner, my brother, you... So you wanna make me RICH? You’re on the right PAGE. This is your PAGE, you’re at HOME here. Isn’t the life über COOL? Yes, I’m not a liar, you know I’m not like this. As you read this, I can confirm what you have seen in the title of this article: you have the AMAZING and EXCLUSIVE opportunity to make me RICH! I know, it’s almost incredible and yet, this is the simple truth: in a few minutes, if you read and apply carefully the instructions I’ll give you, you’re about to enter in the SPECIAL circle of the Uncyclopedia’s readers who made me RICH! According to an EXCLUSIVE poll, 100% of the people were not AWARE that they had the opportunity to MAKE ME RICH. Hurry up! Of course, I know what you think: “okay, this is for sure one of these stupid commercials trying to convince me to fall in their traps but this time they won’t trick me”. But you’re wrong. Here, you will find no false promises. Sincerity, honesty, and if everything goes well, gratitude. Many of my former friends I have contacted about this special EXCLUSIVE offer were skeptical as what I was proposing seemed so UNUSUAL and FANTASTIC and the few who still talk to me have requested some clarification. This is why I decided to publish this list of frequently asked questions WITH THE ANSWERS, to prove my honesty. It seems too good to be true. If I send you some money, can you ensure I’m not going to receive any ridiculous product like a George Foreman Grill or the fabulous DentOut Dent Repair Kit? Absolutely NOT! I have nothing to sell. This is the beauty of the process. Your money will have only one purpose: increasing the balance of my BANK account. I can ensure you will not receive anything in exchange of your MONEY so it’s totally impossible for me to rip you off. This is a premium offer IMPOSSIBLE to refuse. Making me RICH is a good DEED. Hurry up! My colleague Bernadette told me about the Ponzi scheme and that kind of weird stuff with a strange name. Isn’t your offer something like that? Obviously not and I can prove it. In a Ponzi scheme, everyone is going to get money at some point but they have to be very patient. And it’s a tedious process because each person has to convince a bunch of people to give them the cash they need to reach the next level of the pyramid. My EXCLUSIVE SYSTEM has nothing to do with this despicable organization. I swear I will be the ONE AND ONLY person getting the money in the end. EVERYONE (beside me) is at the same level. To prove my point, here are some EXCLUSIVE sketches. 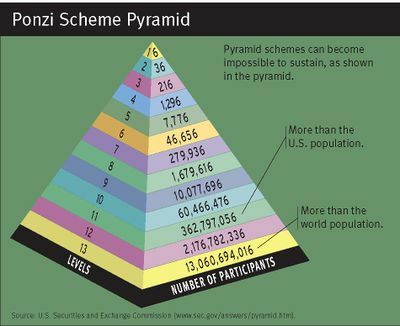 Ponzi scheme for dummies and for color-blinded Egyptians. If I donate something, will the amount be deductible from my tax revenue? Of course NOT! This is once again a huge advantage of my method. You will never receive any form, letter, mail, or note from the IRS or any other federal or governmental organizations. I swear I’m not related to ANY charity. This is a gift from one person (you) to another person (me) and it concerns nothing ELSE. There is no useless paperwork. Can I donate several times? Once again you can only pray the flexibility of my EXCLUSIVE METHOD. You can donate as many times as you want! 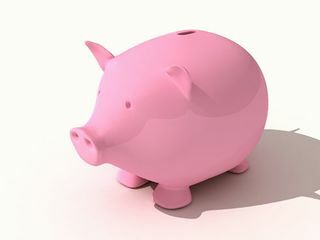 If you are a bit short on money this month, it’s okay for you to give less today and more the NEXT TIME. You DECIDE; you are your own BOSS! It would be inappropriate to set a LIMIT. I won’t take the chance to restrict your imagination. Your LIBERTY and your GENEROSITY are sacred and I cannot put a price on them. Aren’t you not of these so called African lawyers trying to make me believe you are in possession of a suitcase full of millions of dollars and asking me my bank account number pretending he is going to give me half the money and then to rip me off as I have seen sometimes on Fox News? How can I give you the money? OK I see you can’t wait to get into action! Alright I’m going to give you the EXCLUSIVE instructions to make me RICH in the next chapter. To make me RICH, all you have to do is credit my PayPal ACCOUNT [email protected]! If you don’t own a PayPal account, create one. The connection if TOTALLY SECURED. You can check the little icon of a CLOSE padlock on your web browser proving it is TOTALLY SAFE. Add money to your PayPal account or link it to your CREDIT CARD. This is more convenient especially when you want to give me money SEVERAL TIMES. Click on the SEND MONEY button. You see, there is nothing complicated and no understatement: you click SEND MONEY to SEND MONEY, this is crystal clear. In the next window, type [email protected]. Everything is in the address, no MISTAKE possible! All you have to do now is choosing the AMOUNT to transfer. 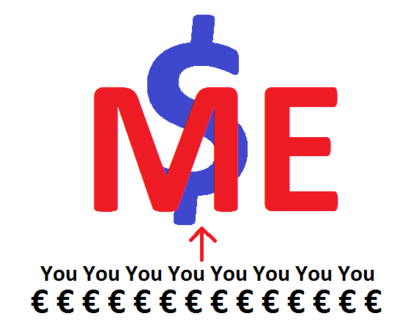 It’s as EASY as 123 (which is a very beautiful number when you put a dollar or euro symbol before). Have you NOTICED it? To end the PROCESS, just VALIDATE your payment to make me RICH! The money I’ll get will only be spent in HOOKERS and BOOZE. Hurry up! To prove the efficiency of my SYSTEM, I’m willing to publish on this PAGE the list of all the people who have sent me MONEY. You, yes YOU, can be the NEXT to have your name on this list. Hurry up! YOUR name here! YOUR donation here! THE date here!